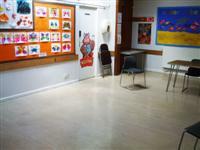 Services / facilities within the building include arts and craft workshops and workshops for children. 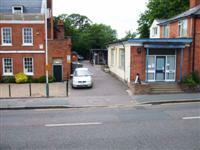 The venue consists of two seperate buildings with the car park entrance running between them. This venue is situated in Hornchurch. The nearest mainline station is Emerson Park. The nearest underground station is Hornchurch. 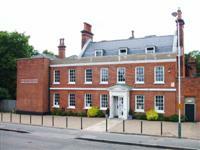 For further information on activities and times please see the venue's web site. 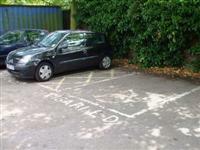 The dimensions of the designated parking bay(s) are 350cm x 370cm (11ft 6in x 12ft 2in). The nearest designated bay is 43m (47yd) from the main entrance. This information is for the entrance located on Billet Lane. The door opening is 114cm (3ft 9in) wide. The door opening is 112cm (3ft 8in) wide. You are on Inside Access (Main Building). Skip to the next section. You are on Other Floors (Main Building). Skip to the next section. 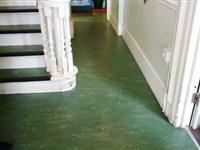 The services on the floors which are not accessible are additional rooms and the standard toilets. You are on Inside Access (The Annex). Skip to the next section. You are on Accessible Toilet (Main Building). Skip to the next section. 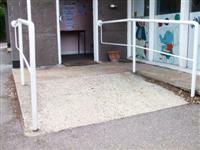 The accessible toilet is located off the sculpture room at the rear of the venue. 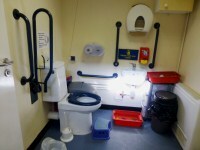 The dimensions of the accessible toilet are 127cm x 340cm (4ft 2in x 11ft 2in). 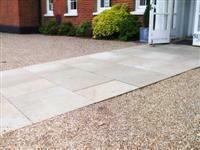 The lateral transfer space is 270cm (8ft 10in). The female and male toilets are located on the 2nd floor. You are on Outside Access (The Annex - Side Entrance). Skip to the next section. This information is for the entrance located on the car park access road. You are on Level Change (The Annex - Side Entrance). Skip to the next section. You are on Outside Access (The Annex - Rear Entrance). Skip to the next section. This entrance must be opened by a member of staff. You are on Level Change (The Annex - Rear Entrance). Skip to the next section. 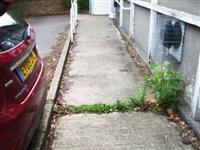 There is a dropped kerb access from the car park to the ramp. You are on Accessible Toilet (The Annex). Skip to the next section. The accessible toilet is 5m (16ft 5in) from the Annex Entrance. The accessible toilet is located at the end of the entrance lobby. The dimensions of the accessible toilet are 185cm x 220cm (6ft 1in x 7ft 3in). The lateral transfer space is 144cm (4ft 9in). There is a second door connecting the accessible toilet directly with the room used as a pre-school. You are on Standard Toilet(s) (The Annex). Skip to the next section. The female toilets are located in the annex corridor on the left. The female toilets are 7m (22ft 12in) from the The Annex - side entrance. The male toilets are located in the annex corridor on the left. The male toilets are 13m (14yd) from the The Annex - side entrance. The female standard toilet has wall bars. 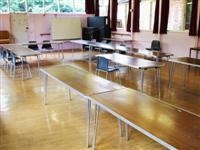 The photographs show 2 of the many rooms available for activities or hire.